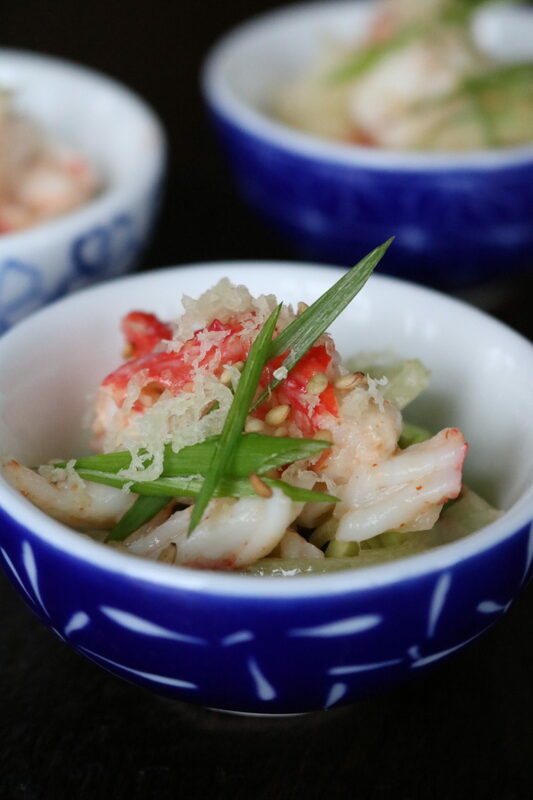 We can’t solve all your problems, but if Monday has you feeling crabby, it has us feeling crab-inspired and you can turn your Monday around with this Mini King Crab Avocado Crunch Salad! 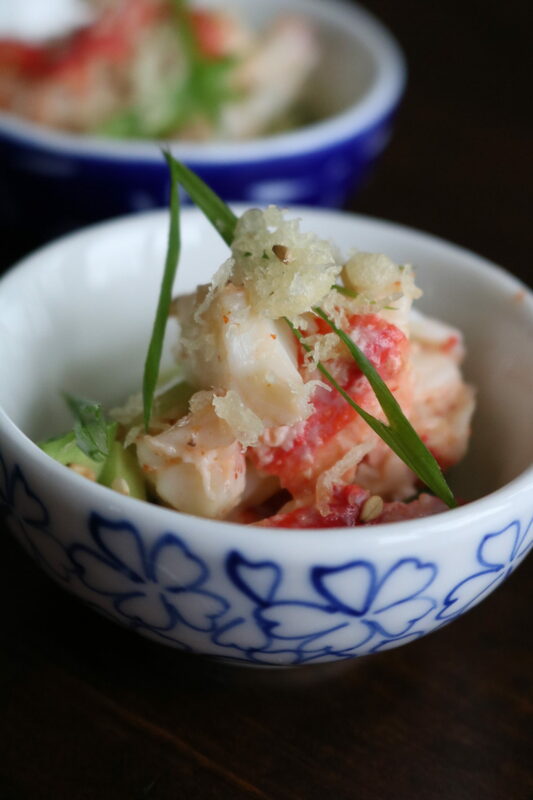 Remove crab meat from shells and shred. Whisk together mayonnaise, Sriracha, sesame oil, and lemon juice. Set aside. Cut cucumber lengthwise and remove seeds with a spoon or melon baller. Slice cucumber flesh into matchsticks. Toss crab meat in sauce adding 1 tsp at a time until lightly dressed. Reserve the remaining sauce for dipping. 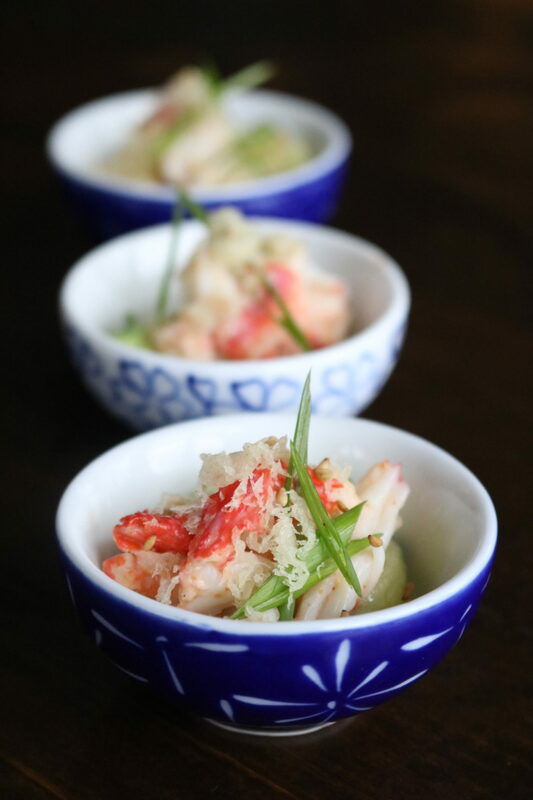 Spoon diced avocado into a small serving vessel, next add dressed crab meat, top with matchstick cucumber slices, tempura flakes, toasted sesame seeds, and garnish with chives. Enjoy!